I am a 24 year old student athlete racing for the UCI Continental H and R Block Pro Cycling Team. I am also working on attaining my degree in Kinesiology from the University of Calgary. From an outside perspective, cycling seams to be a very simple sport. 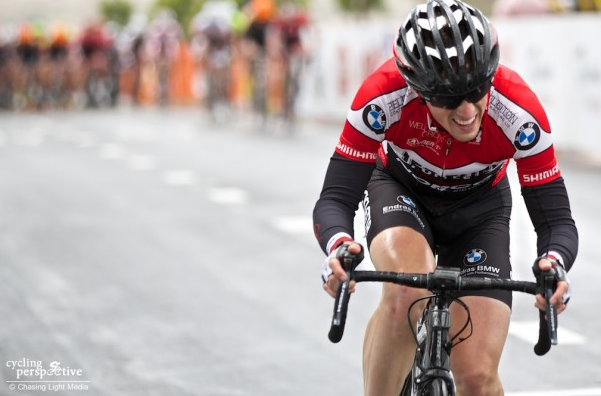 There’s a start line, hours of pushing down on pedals, then a finish line. First one to cross the line wins. Seems pretty simple doesn’t it? Its not. If you draft behind someone, you get 10 points. If you eat at the right time, 10 points (bonus points for caffeine boosts). If you avoid getting a puncture, 10 points. Dodged a crash? 20 points. During the entirety of the race, all you have to do is slowly rack up points and by the time you get to the finish line, hope you’ve accumulated more points than any of the people around you. 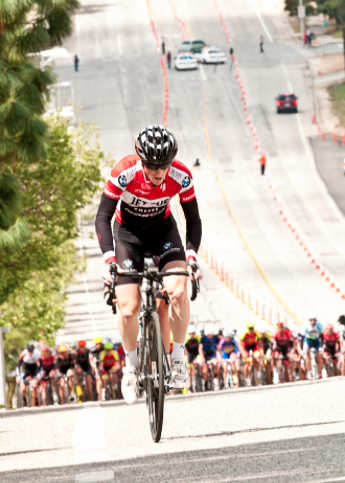 Stage 1 of the Redlands Bicycle classic was the day where my points total reached an all time high. After attacking on the second lap, I rode off the front of the peloton by myself for what seemed to be an eternity. Three more riders eventually made their way across and we worked well to create a gap over the field. I knew that I had a good chance at grabbing some KOM points because the KOM line was atop a small but punchy climb. I managed to roll over in third during the first KOM sprint and first over the second one. This gave me a narrow but outright lead on the jersey. I eventually lost touch with my breakaway companions with 3 laps left in the race but I knew that the day was a success. I rode in far behind the race winners but with probably the biggest smile one can have when finishing in 150th place. I got to stand on a podium with a cool t shirt while people took my picture. For years now, I’ve had a white board in my bedroom with goals I had hoped to accomplish throughout my cycling career. 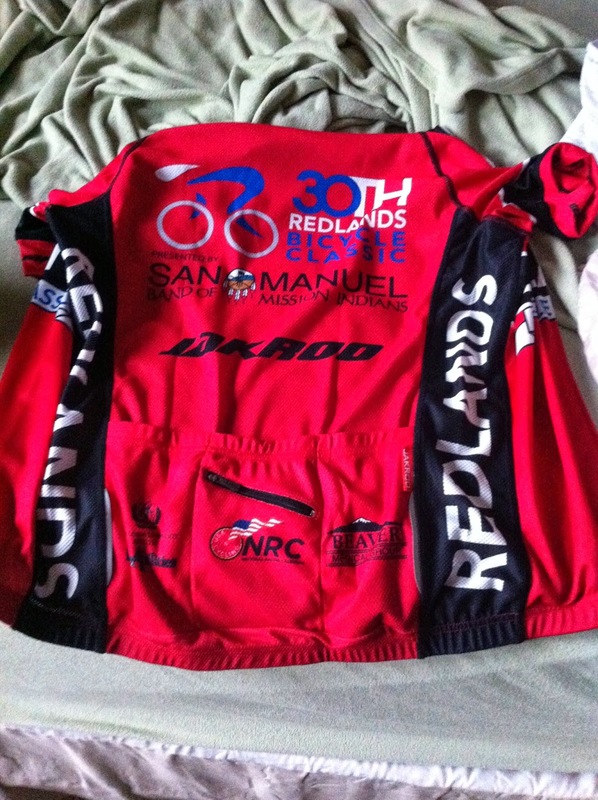 Written in bold near the top of the list was to win a jersey at an NRC race. Although I would eventually lose the jersey on stage 3 (not from a lack of trying), it was nice to see some hard work pay off. None of this would have been possible without all the support I’ve received. Thank you Jet Fuel Norco Racing for the guest ride during the race. Thank you Trek Red Truck for helping me develop as a cyclist over the last 4 years. Thank you Bridge the Gap for investing in my future and last but not least, thanks to all of you that have encouraged me along the way. Words of encouragement can go a long way!